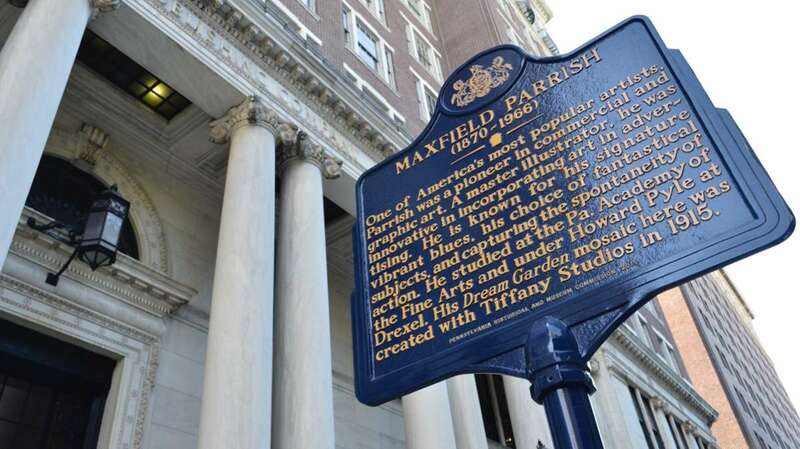 The historic Curtis Building in Philadelphia’s Washington Square neighborhood is undergoing renovation to convert its office spaces into condominiums. 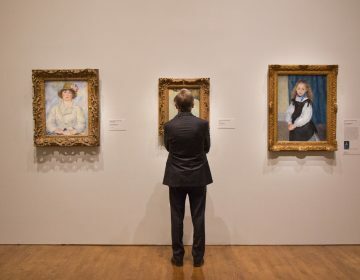 Last week, work was halted because the demolition caused damage to a century-old work of art. 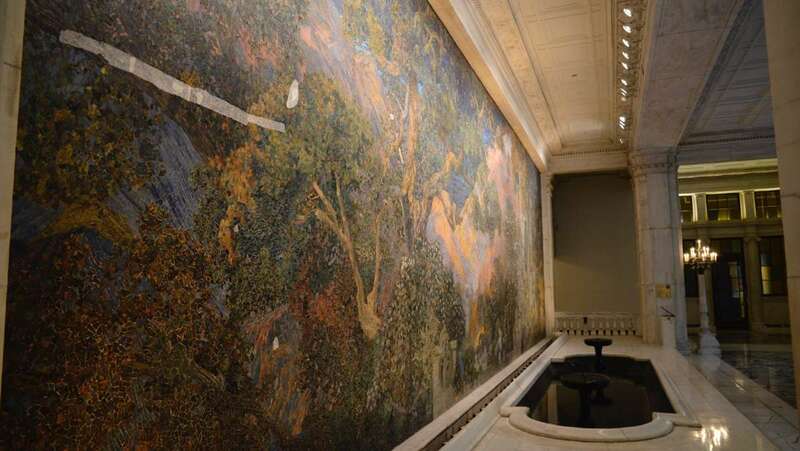 Work can now resume with an apparatus in place to protect the 49-foot glass mosaic mural. 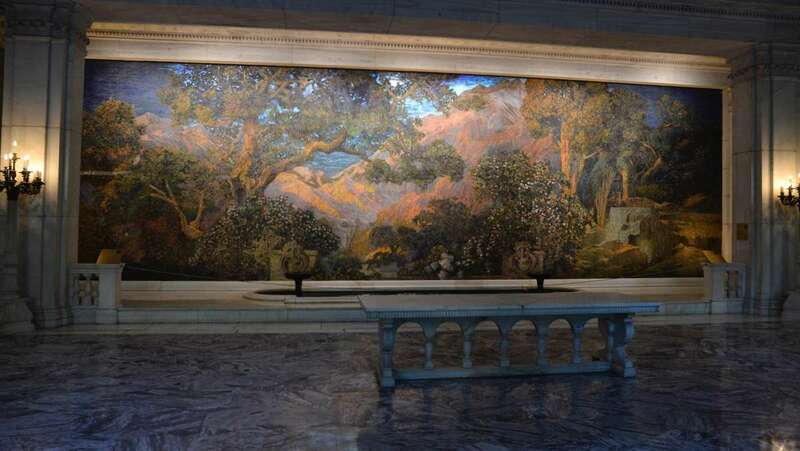 “Dream Garden” by the artists Maxfield Parrish and Louis Comfort Tiffany was installed 100 years ago in the east lobby of the Curtis building. 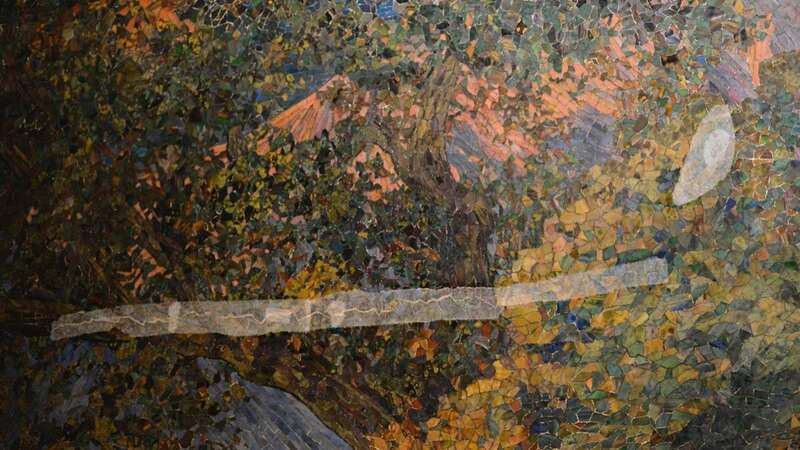 The image, composed entirely of tiny glass tiles, is built into the wall in such a way that it cannot be removed. PAFA installed vibration monitors to keep an eye on the effects of demolition and construction, which began in January. Since then, excessive vibrations have been recorded five times. The mural cracked, and tiles came loose. 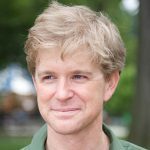 McGill says the mural’s underlying panels have shifted. The city’s Department of Licenses and Inspections intervened last week, ordering work to stop. 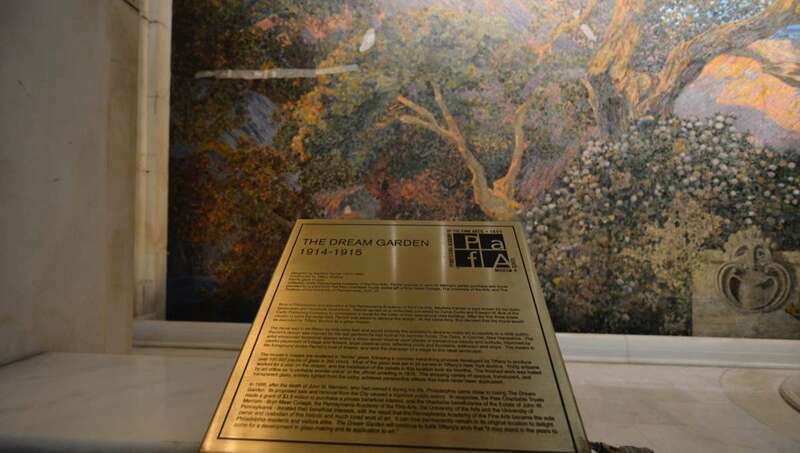 Now, the stop-work order is being lifted as PAFA and the building owners have devised a plan to protect “Dream Garden.” A temporary, floor-to-ceiling wall has been built in front of it, pressing foam panels against its surface to hold in place any tiles that might loosen. The wall obscuring the mural will remain in place until the heavy construction activity is over — likely a few weeks. Then, conservators will use a flexible borescope to inspect the underlying structure. The value of the mural is not determined, but 15 years ago the Pew Charitable Trusts paid $3.5 million to make sure it remained in the city.